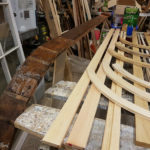 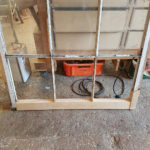 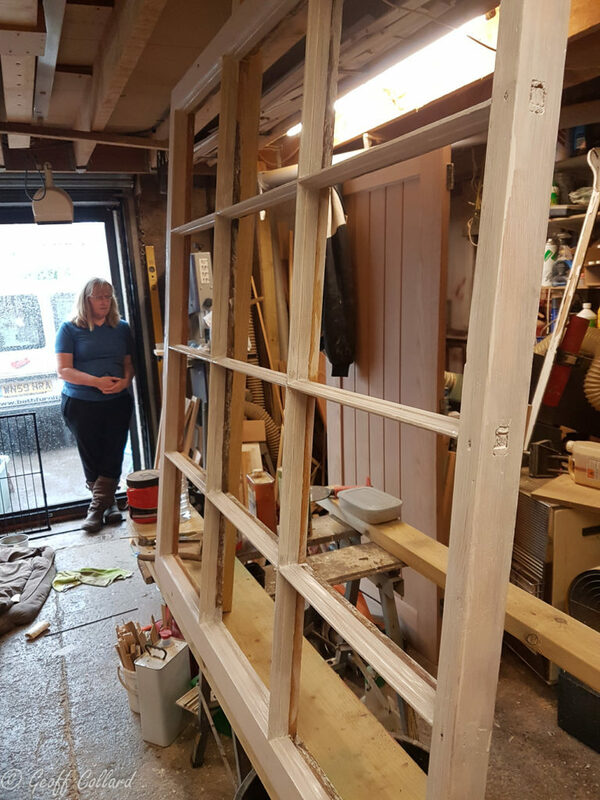 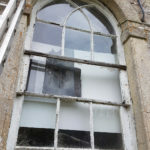 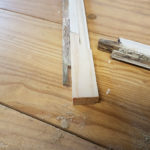 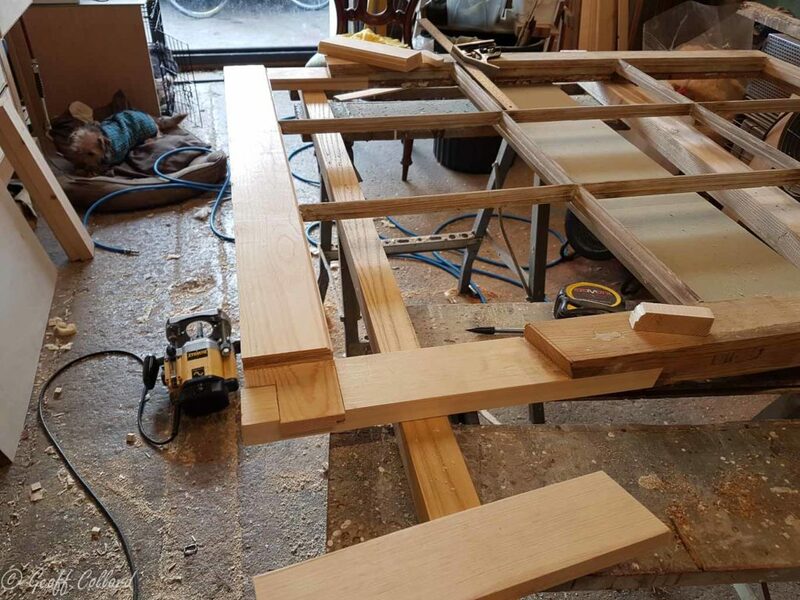 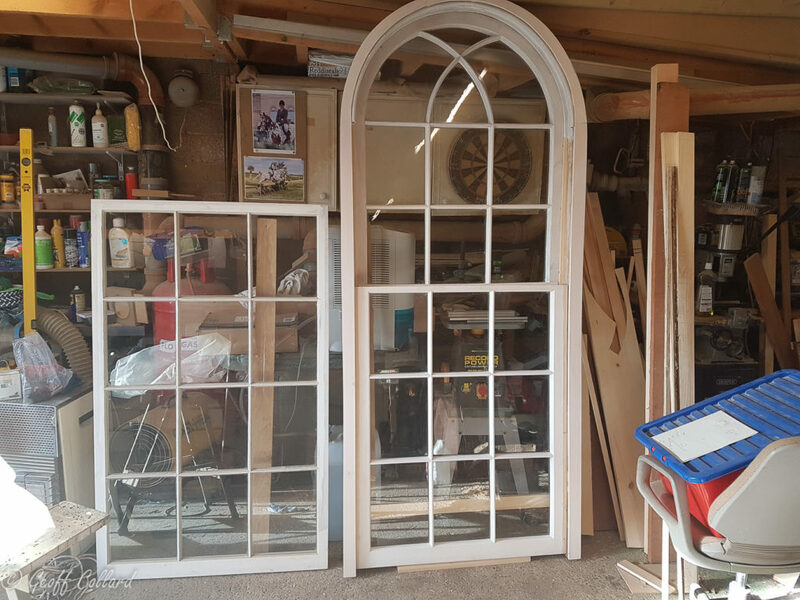 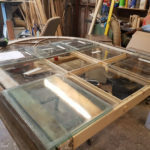 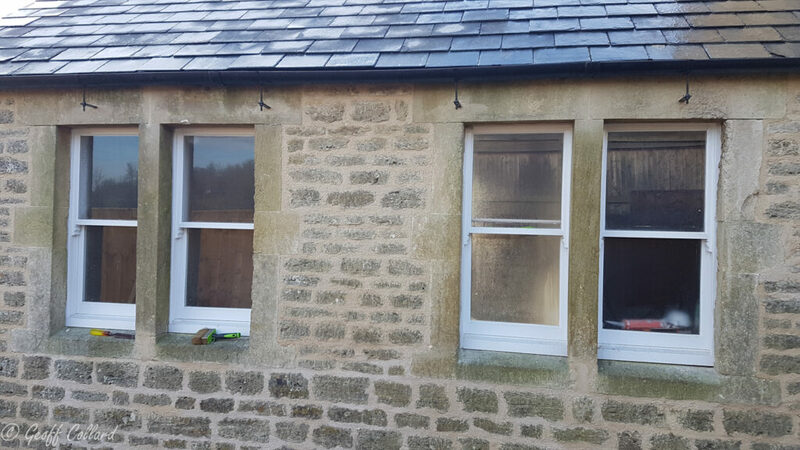 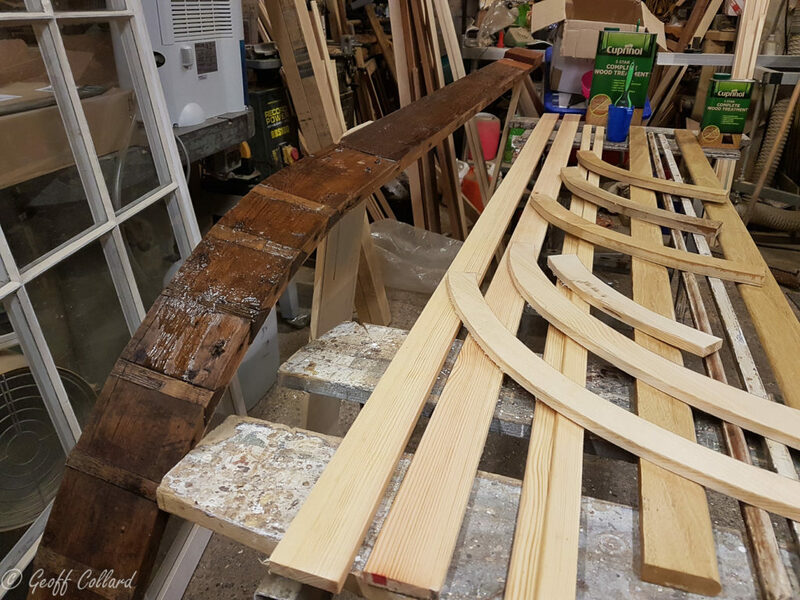 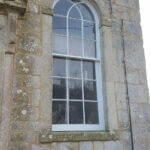 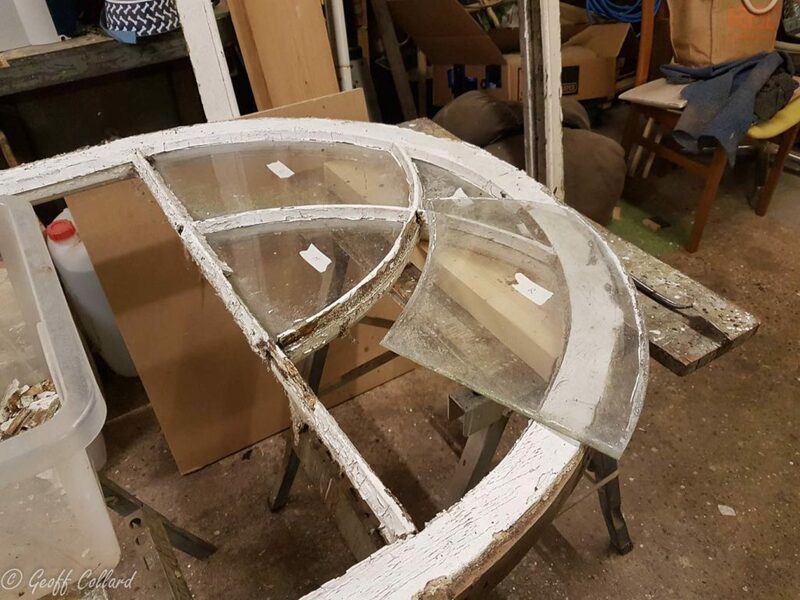 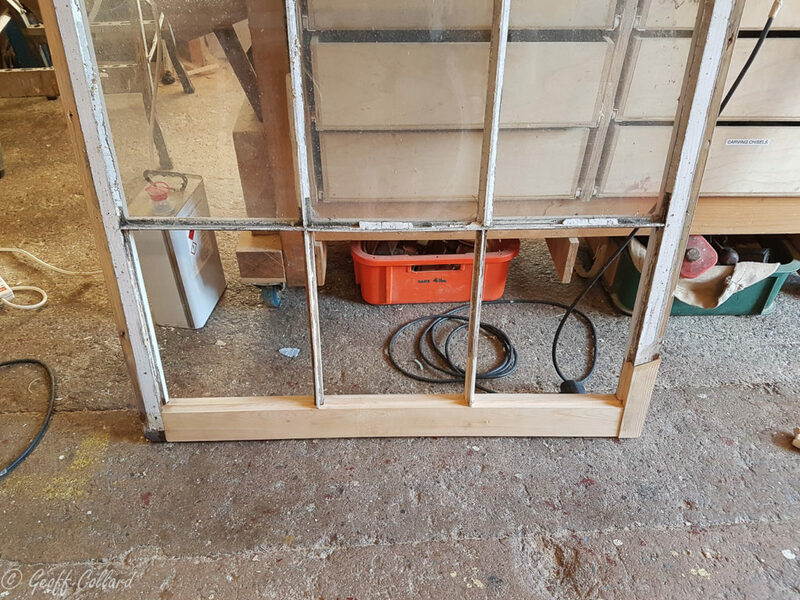 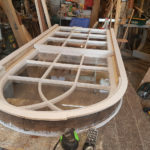 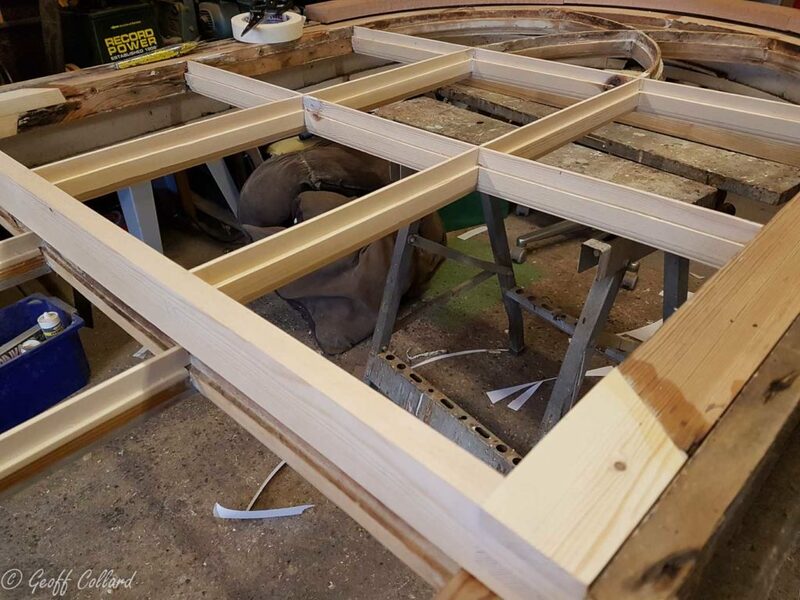 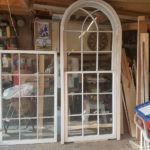 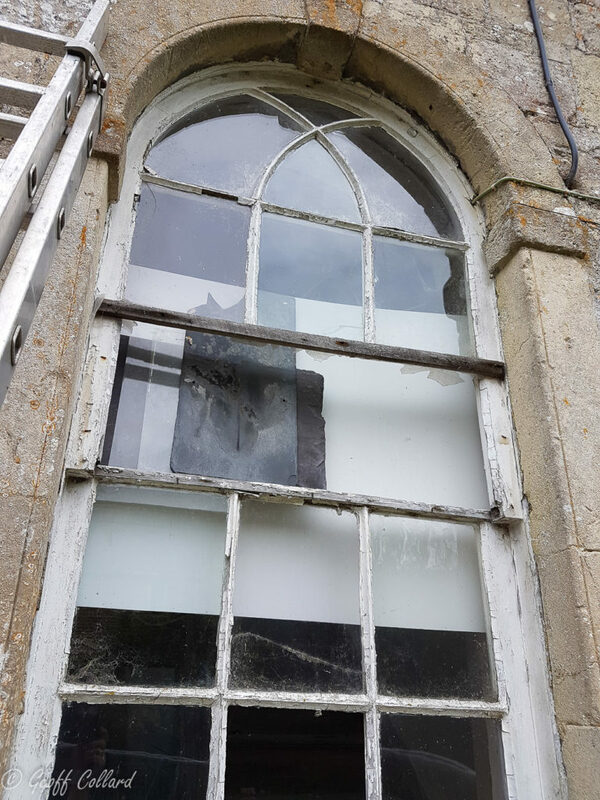 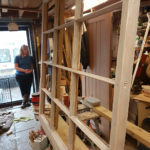 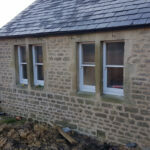 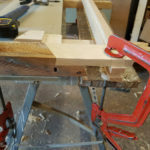 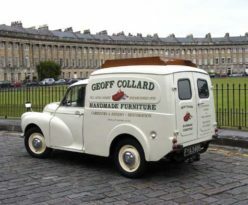 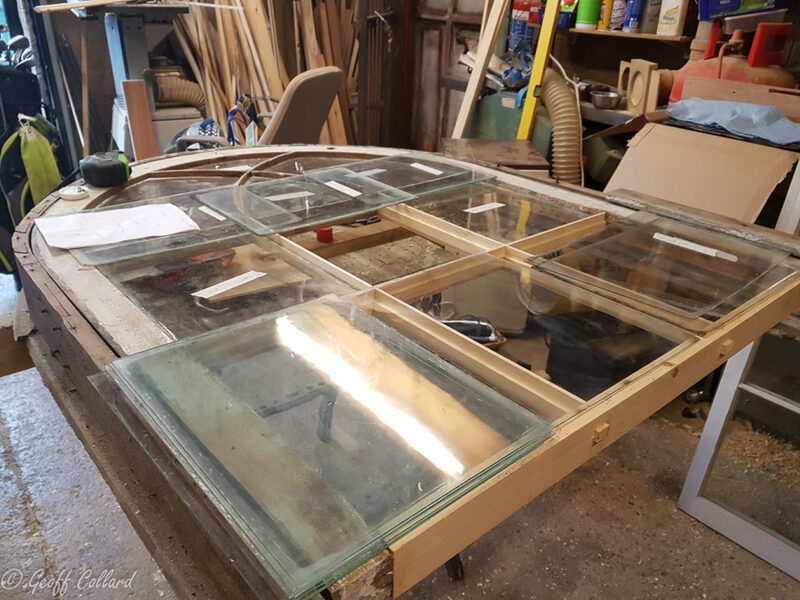 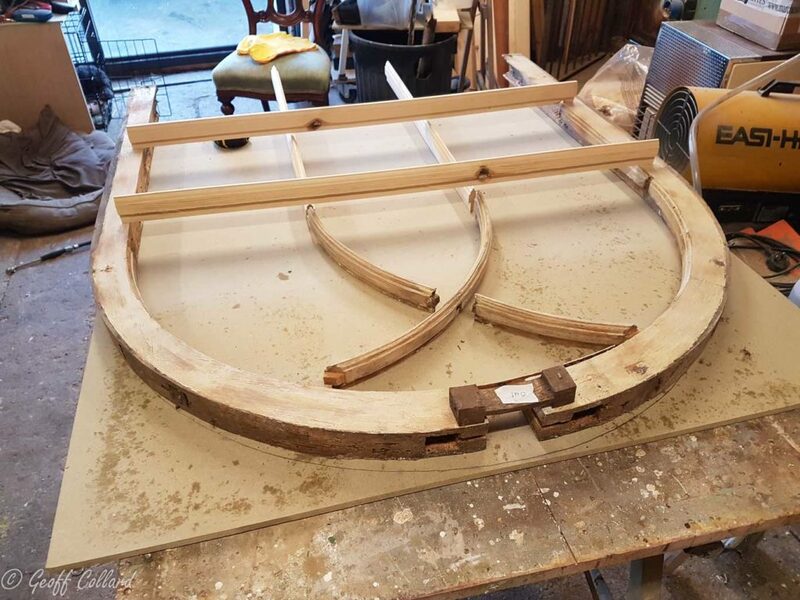 A good example of how they created the curve, if I were to make a new window thats not listed I would be laminating this arch which would make far stronger job. 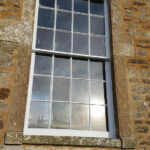 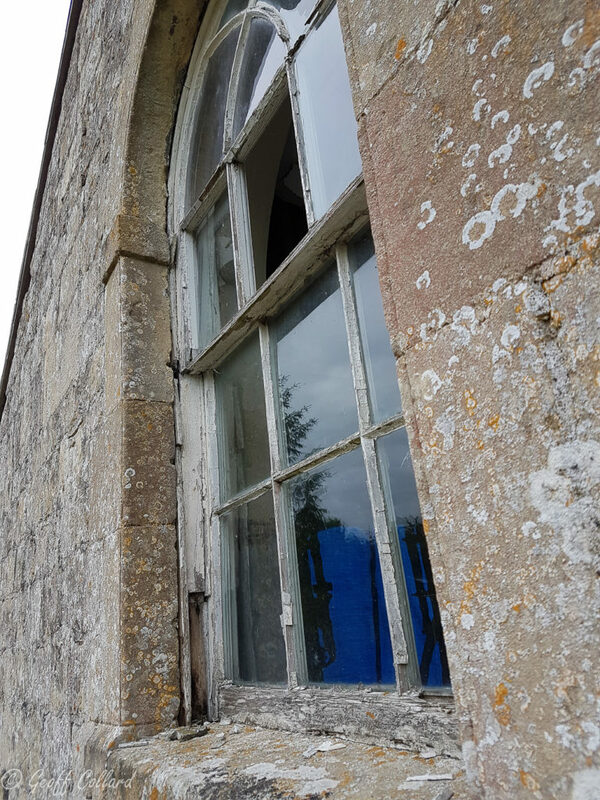 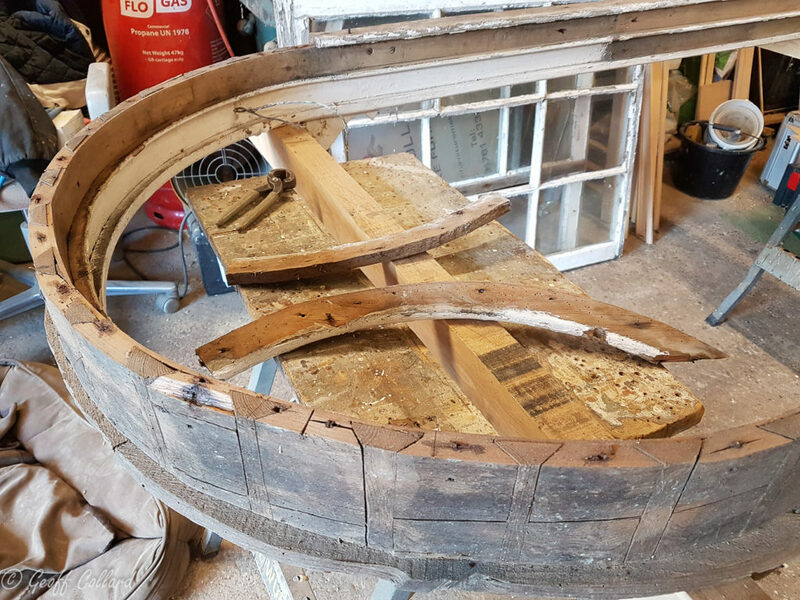 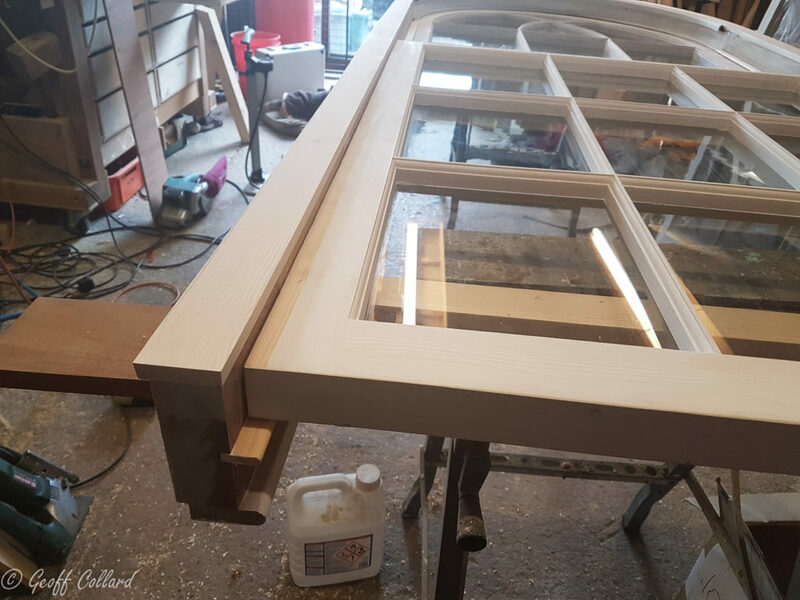 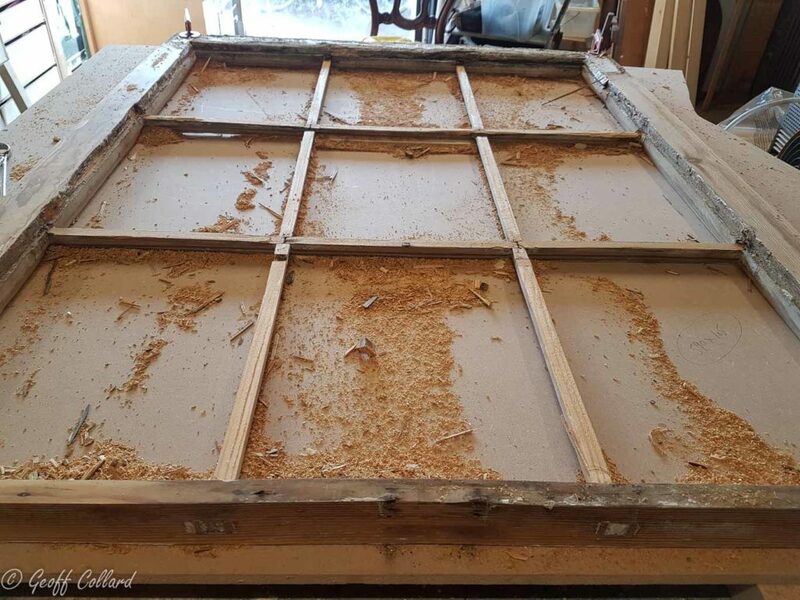 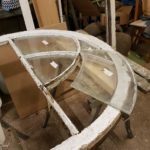 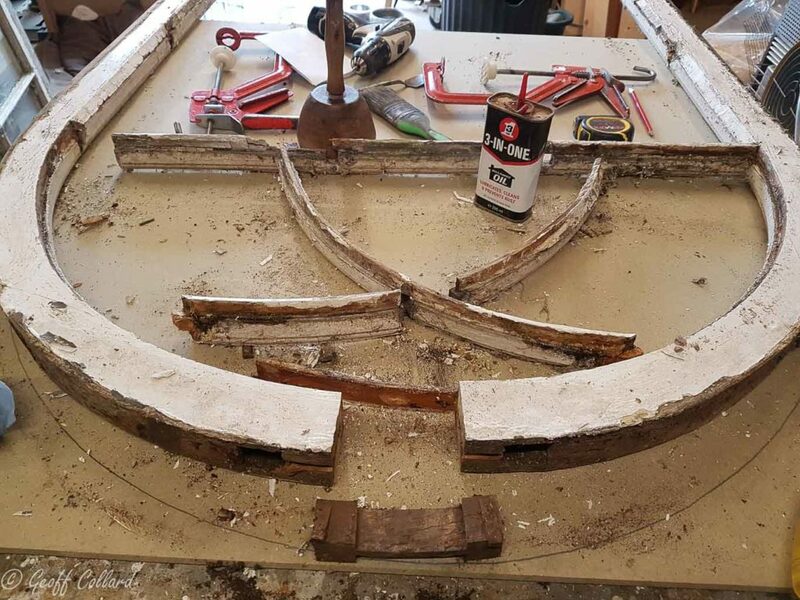 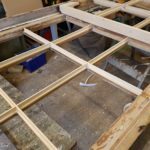 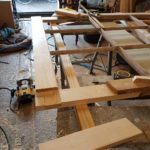 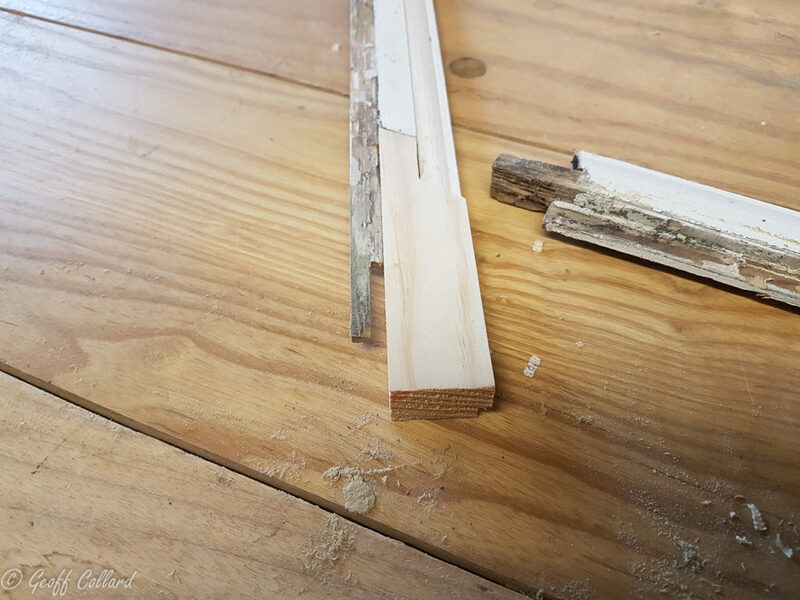 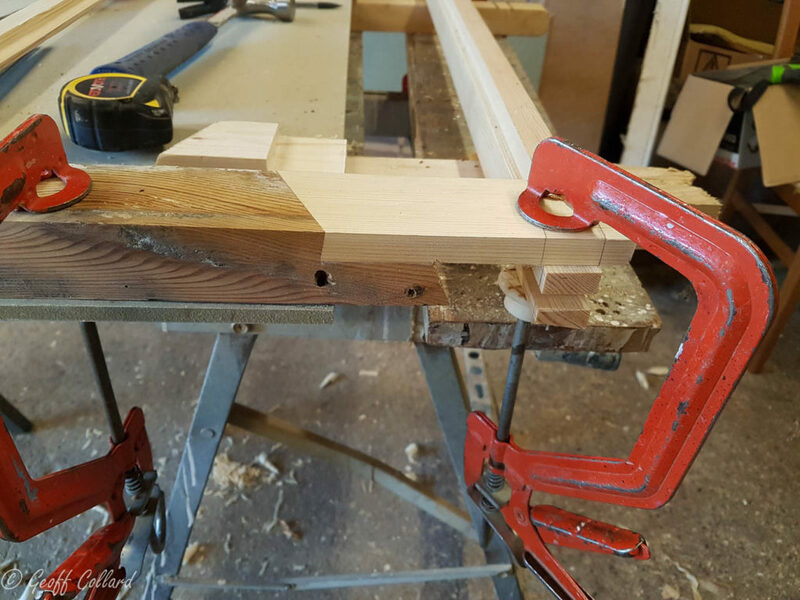 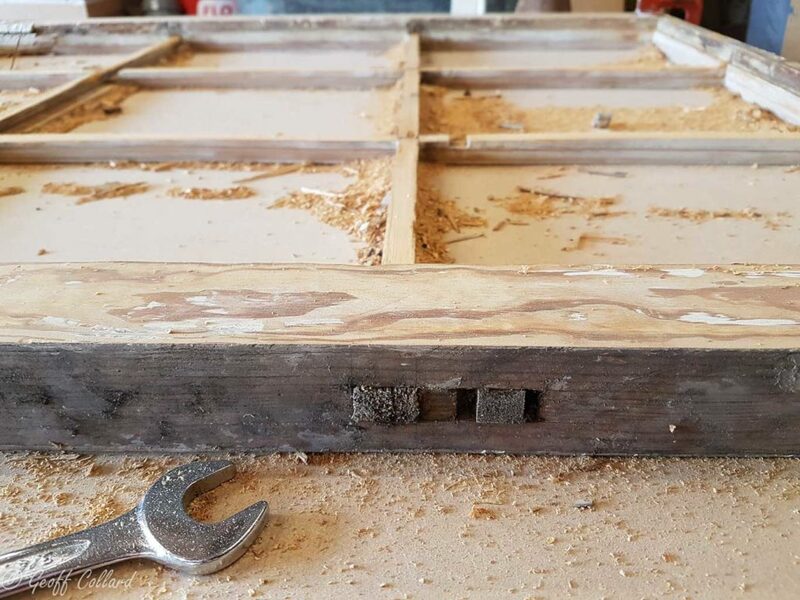 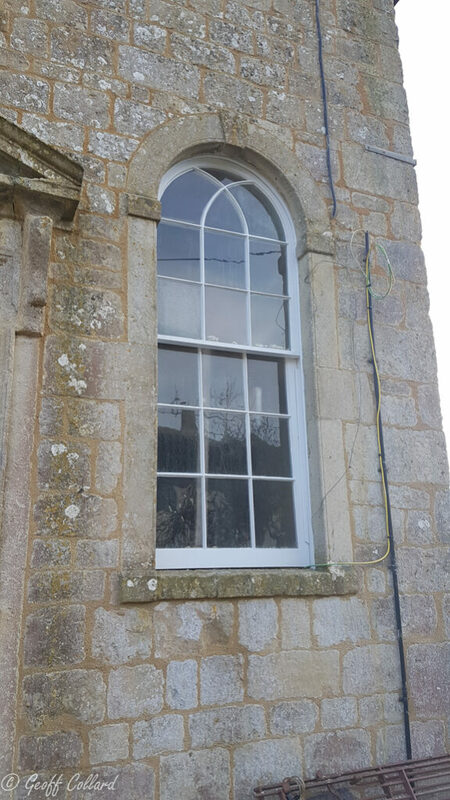 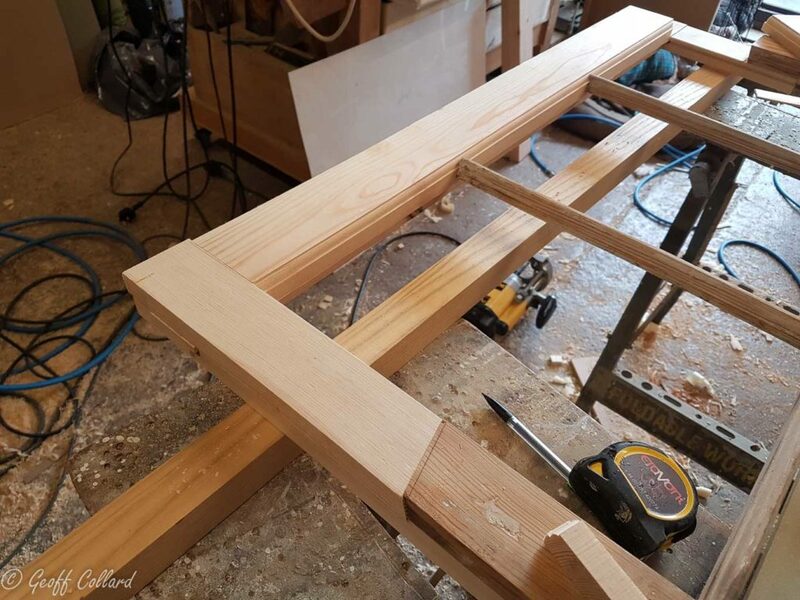 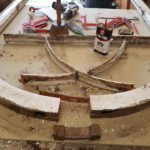 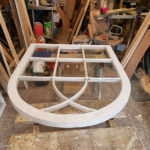 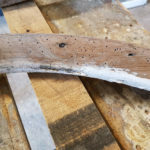 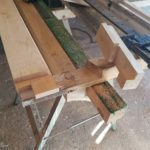 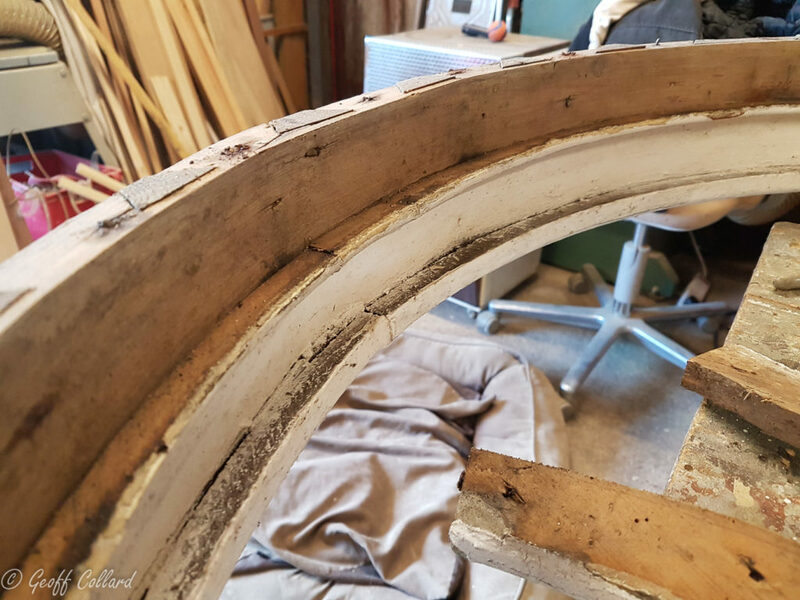 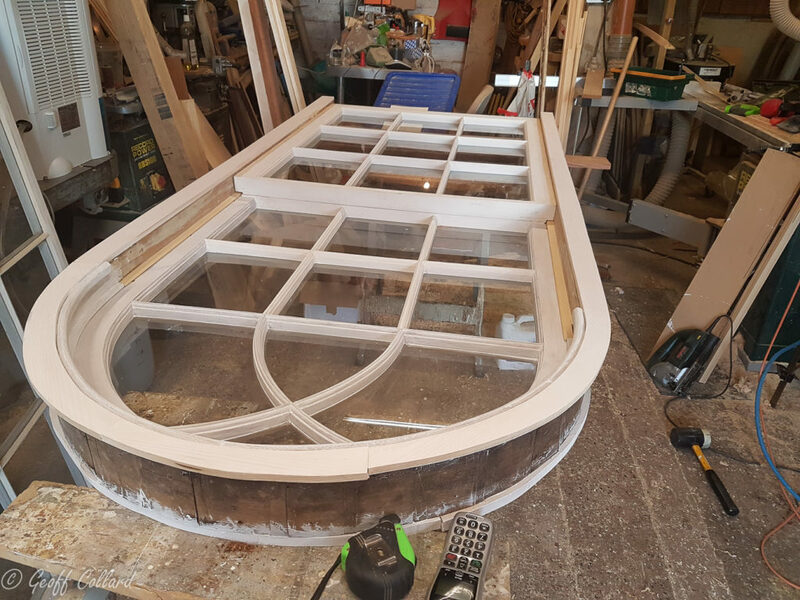 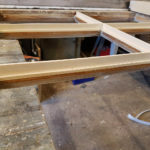 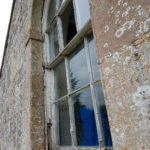 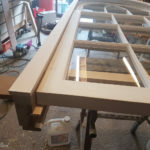 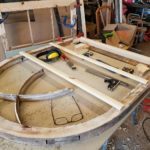 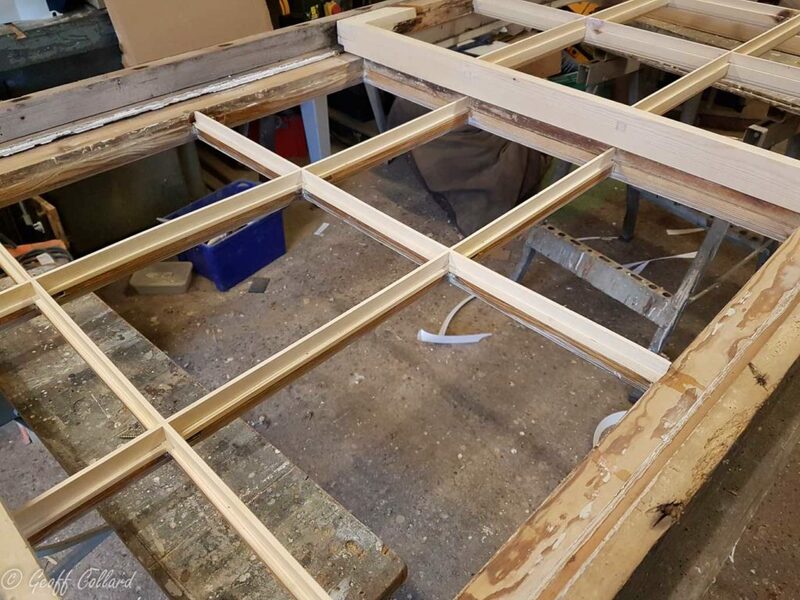 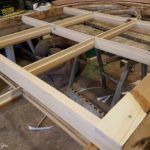 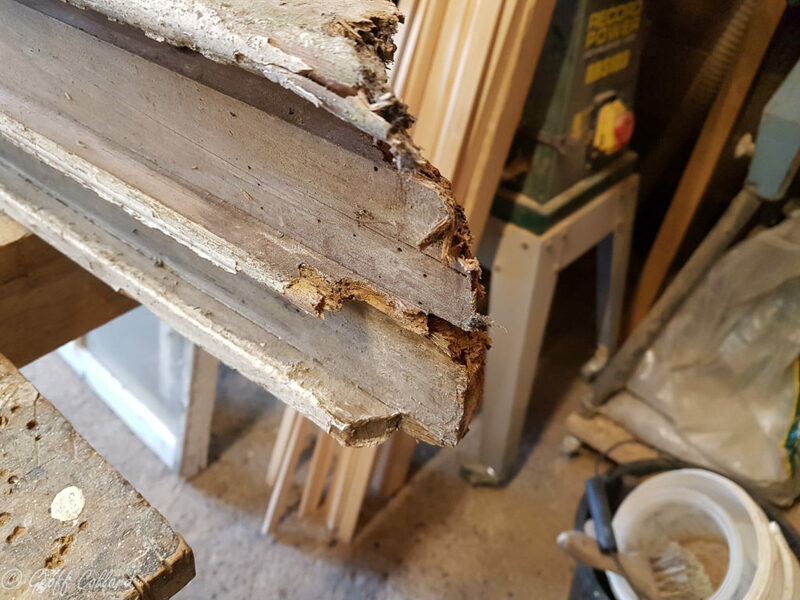 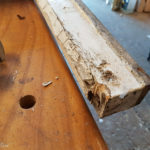 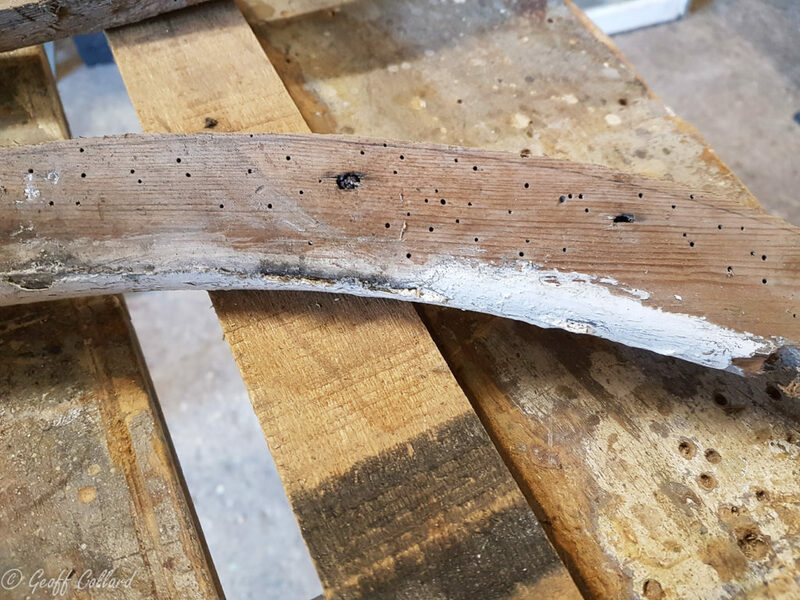 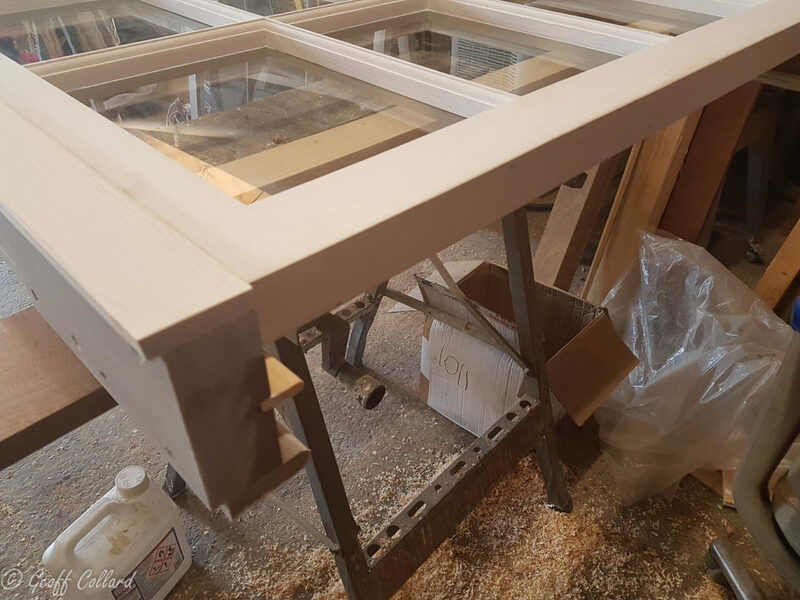 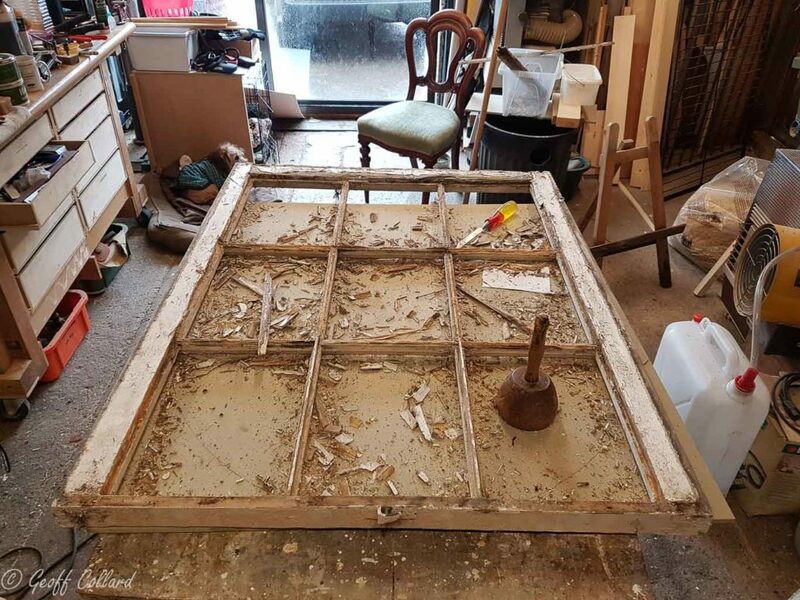 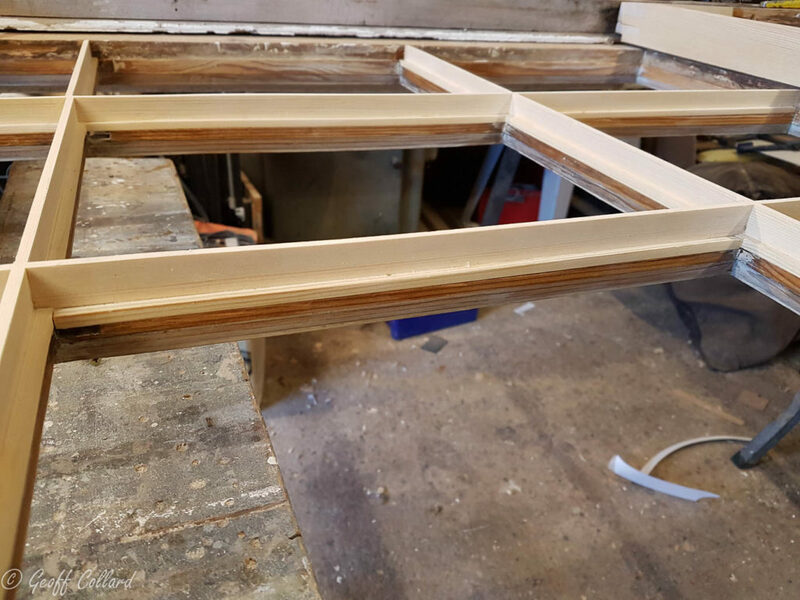 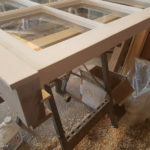 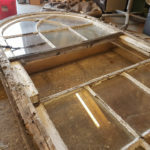 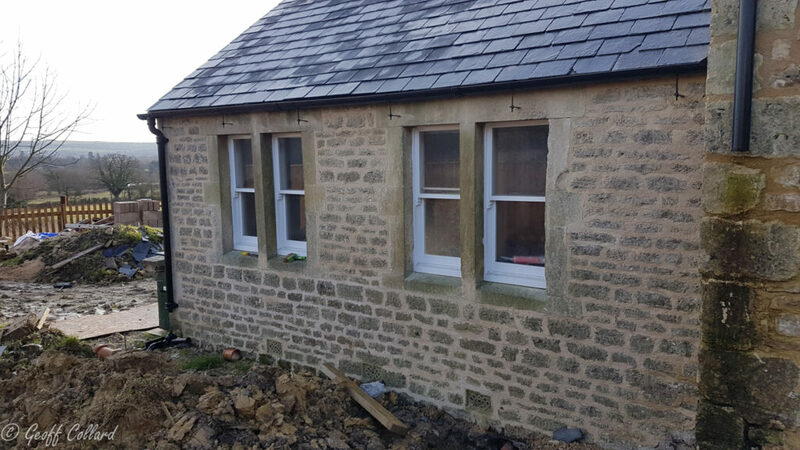 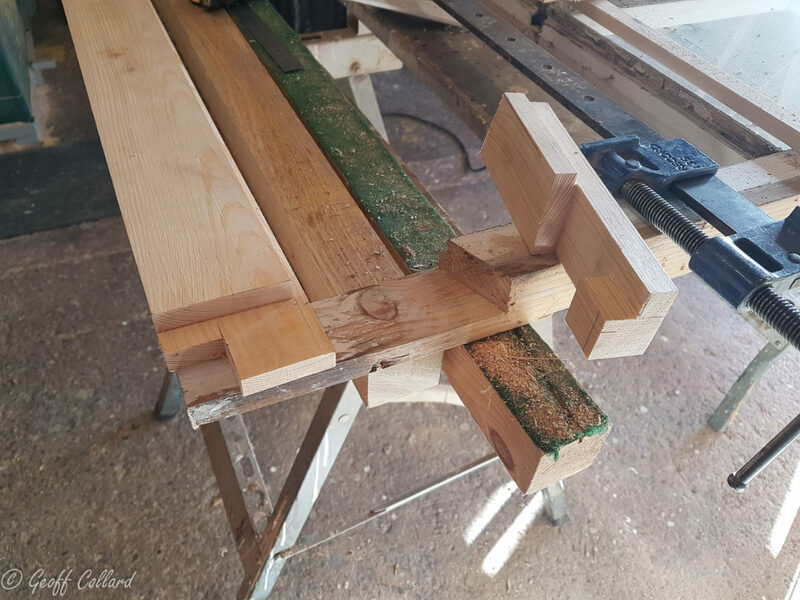 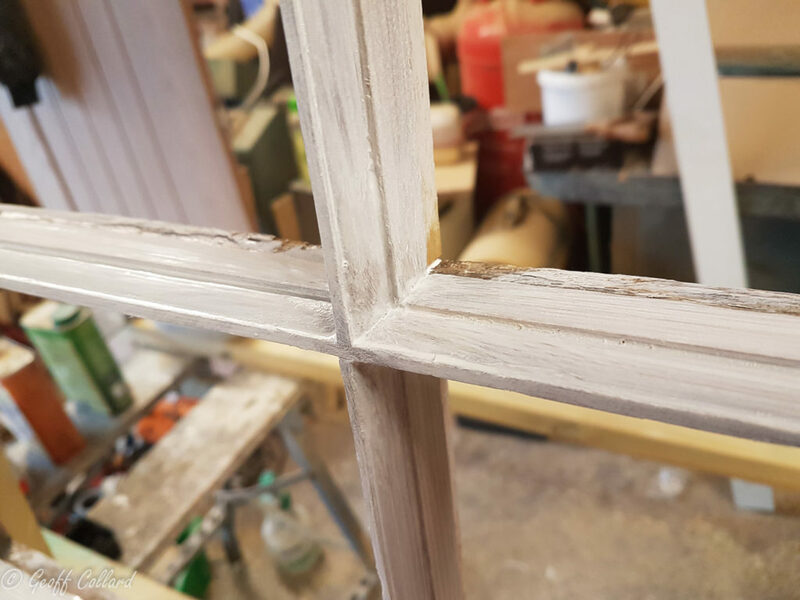 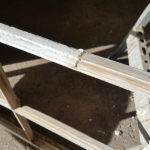 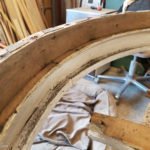 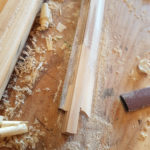 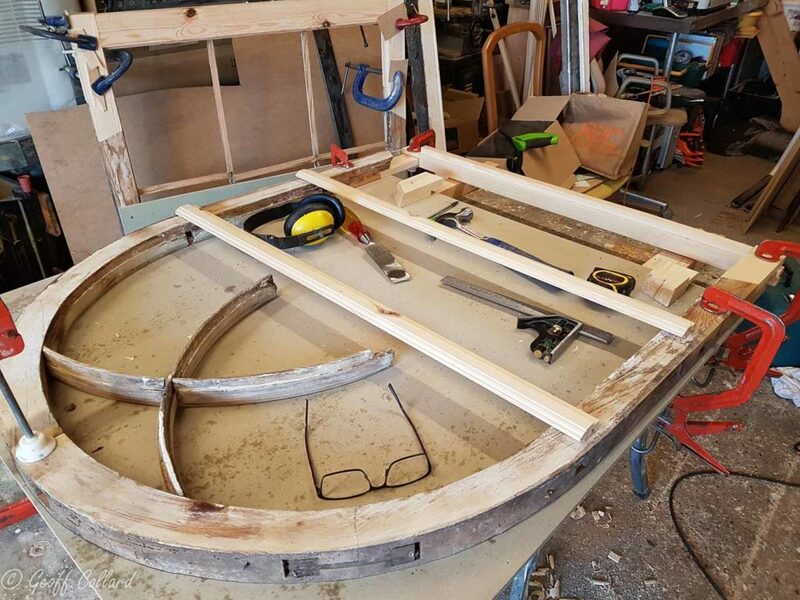 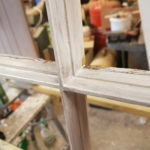 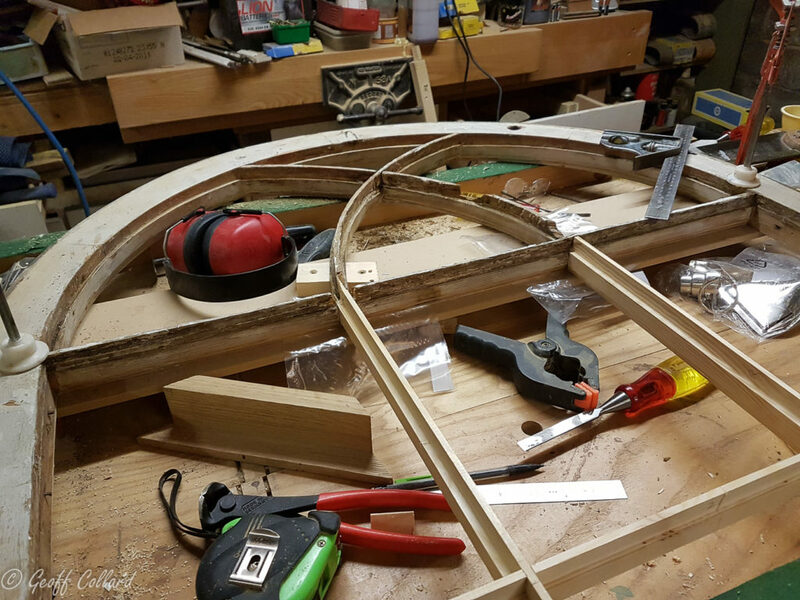 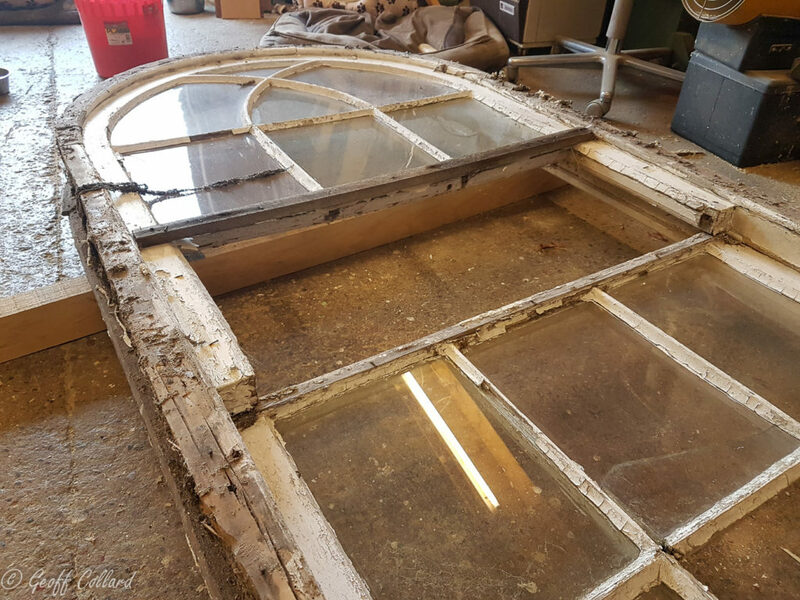 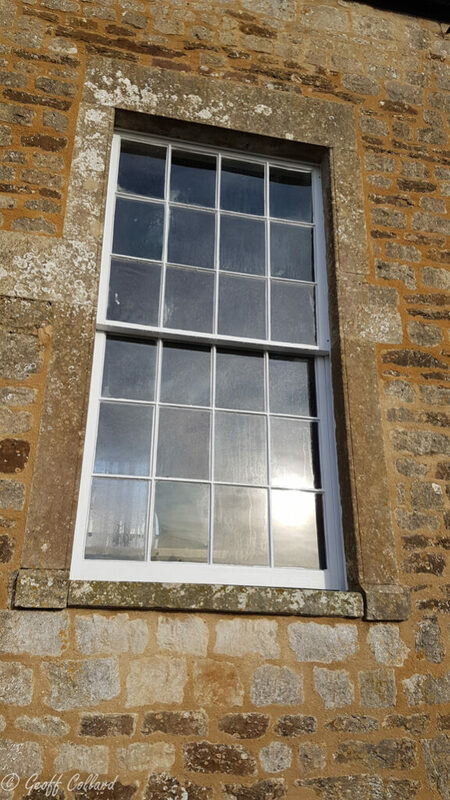 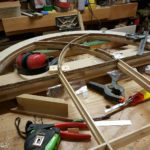 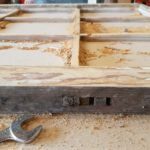 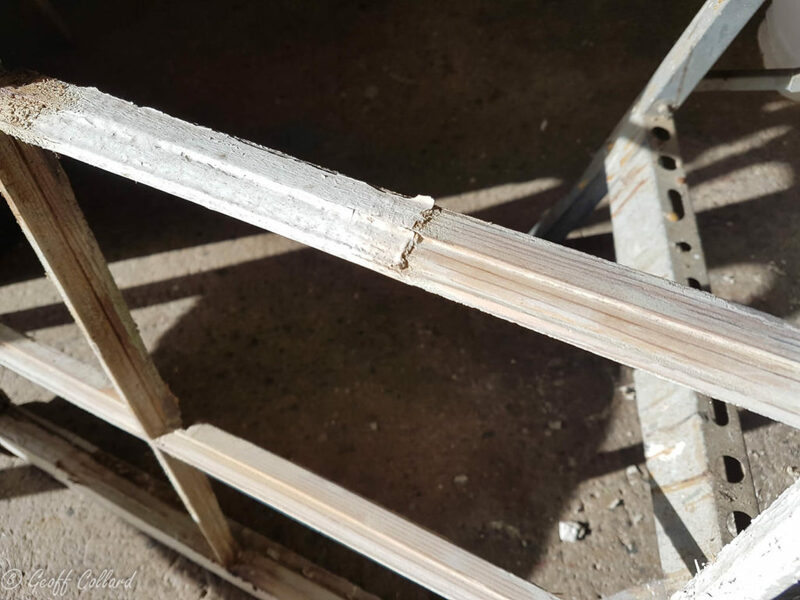 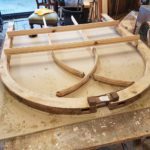 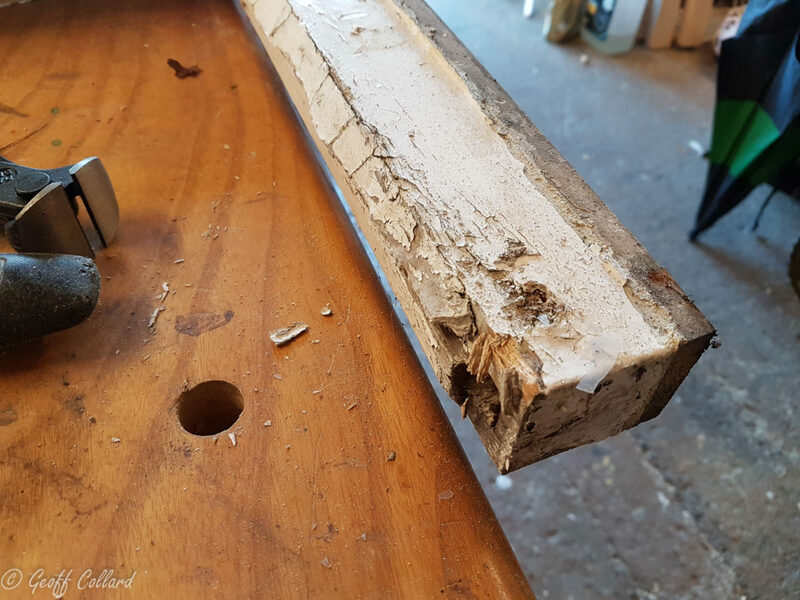 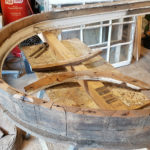 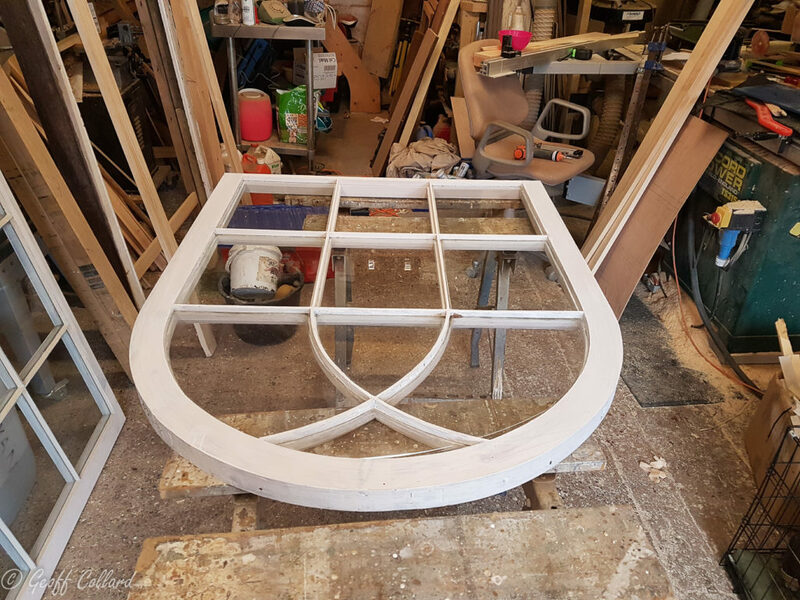 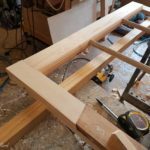 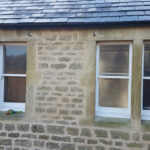 The arched parting bead was originally just planted on with nails, as the arch is fixed this was no problem as it had the sash to sit against and protect it. 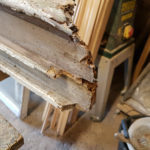 Worm and rot in the foot of the lining, I cut this section off and glued new wood, as the end grain would be sitting on the stone I did patch with hardwood. 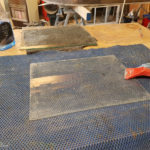 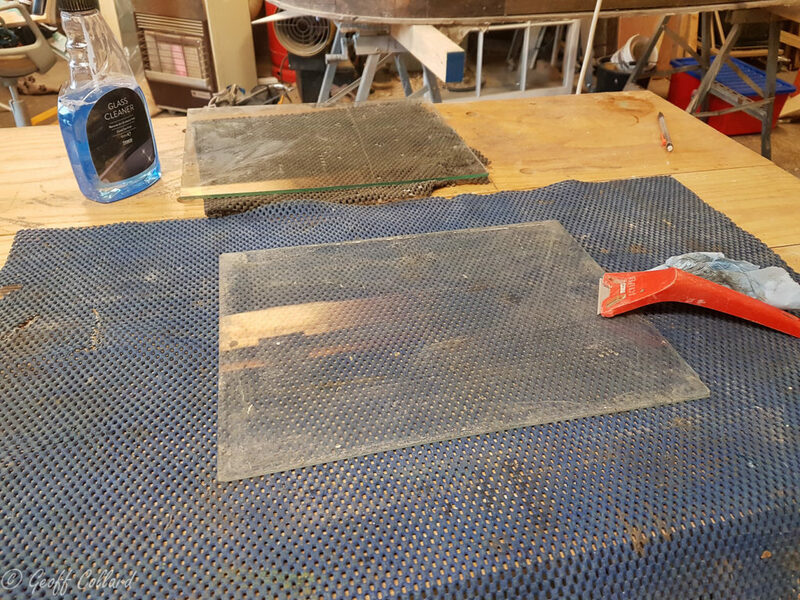 Carefully cleaning the glass on a cushion mat, this glass is 2mm thin in places and most are convex or concave depending on what way up you've got it, so this is a very delicate job. 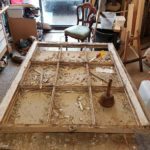 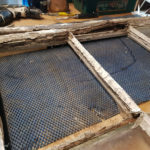 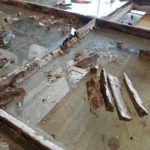 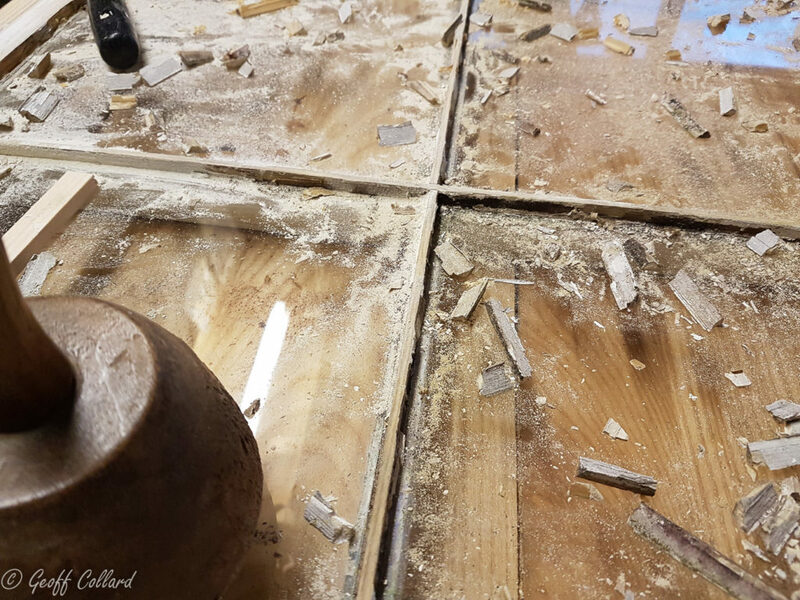 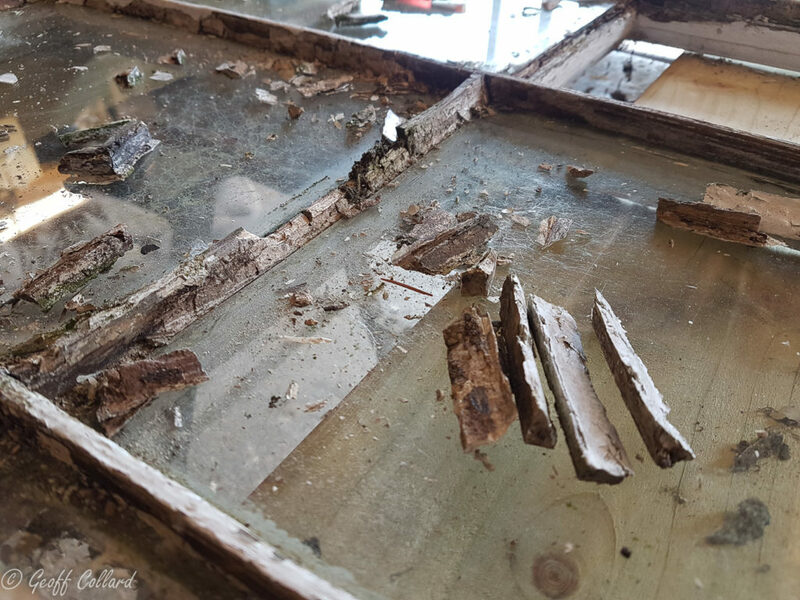 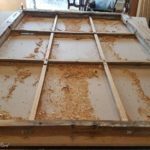 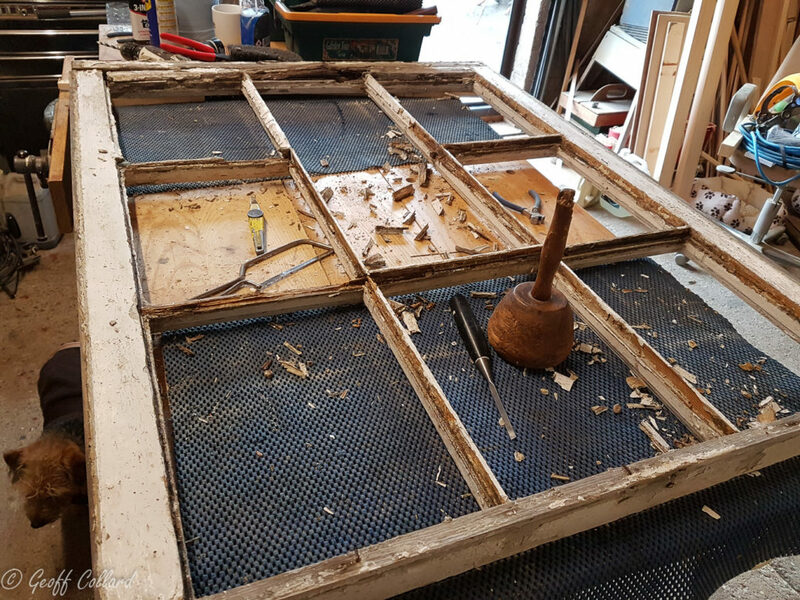 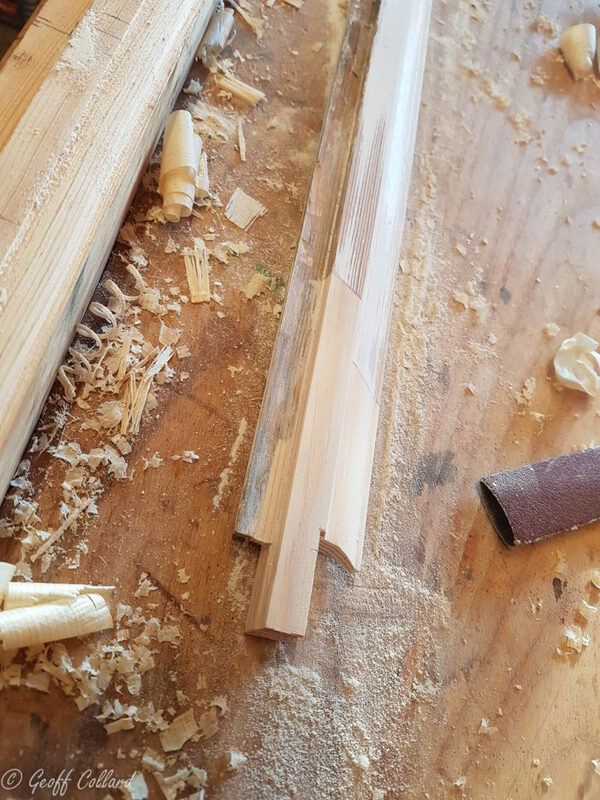 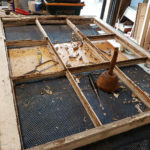 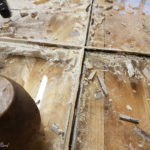 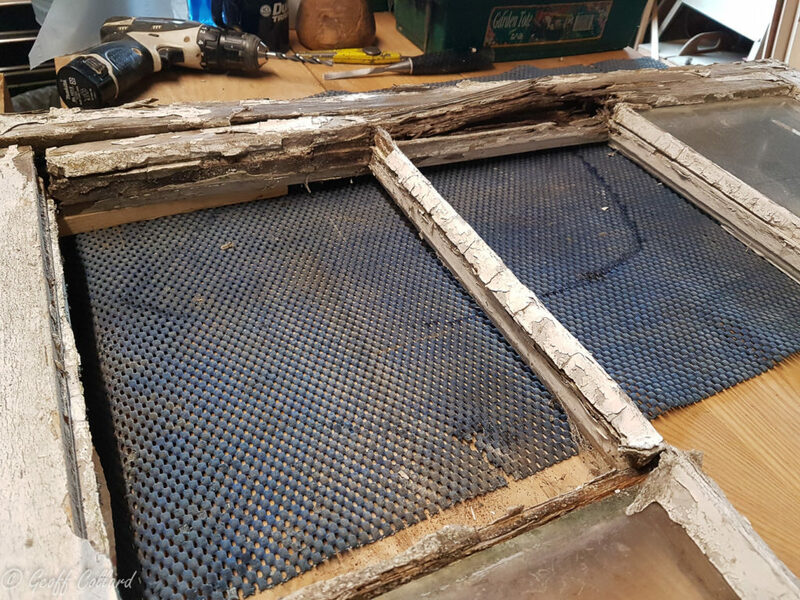 The scraper was used very lightly to remove thick paint and only on the edges, I had a sharp plastic to remove any buts in the main area.